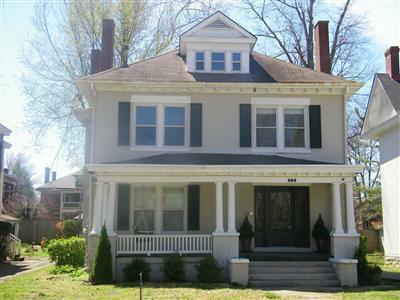 Magnificent interior renovation in this turn of the Century 2.5 story home in historic Bell Court. From the updated plumbing(all copper lines)to the Square D CQ 400 AMP electrical service to the two HVAC systems(2 zone)to the Honeywill Future Smart quick Network, to the state of the art security system with a whole house audio, and central vac system this home is truly one of a kind! Amazing finish details such as Tigerwood Brazillian Koa flooring on the lst two floors, Seneca hand molded porcelain tile in kitchen and baths to the custom millwork and mantels to the gourmet kitchen with custom designed quarter-sawn white oak cabinetry with pantry wall, center island granite countertops, Grohe pot filler, Bosch dishwasher plus GE Profile convection microwave and GE Monogram refrigerator you will not be disappointed. 4 fireplaces. Master suite with fireplace, full bath, walk in closet and sitting room(currently used as an office).Third floor could easily be 4th bedroom. Must see! Miscellaneous: Basement, Formal Living Room, Family Room, Den, Bonus Room, Separate Utility Rm.